Super elegant White Floral Tulle Maxi Dress with Criss Cross Back! Perfect for any special occasion! It features a classic White color with floral printed tulle and criss cross back. Just as pictured! Although a tad long but having it altered. Great price, easy exchange for smaller size, all around excellent quality! This dress fit me really well and is so beautiful. 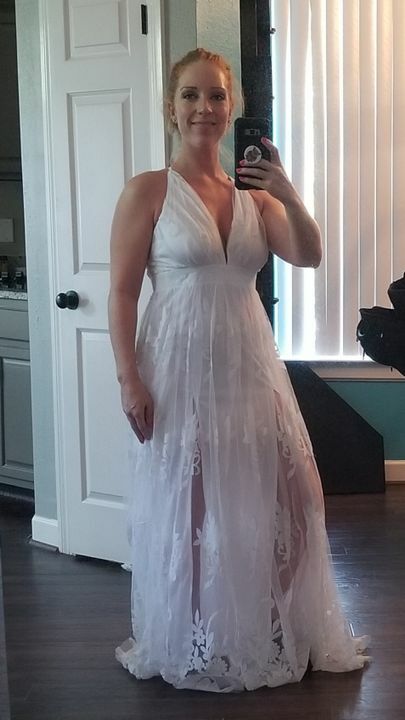 I'm really happy with my purchase and I can't wait to wear it for my bridal shower!